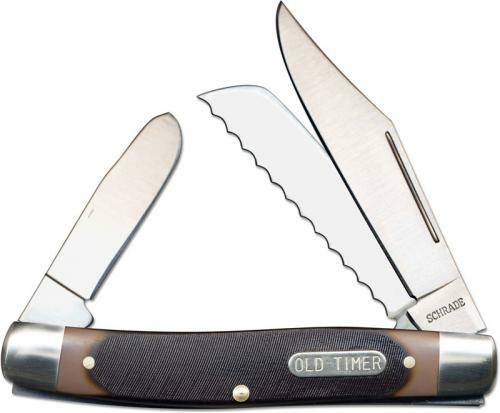 The illustrated Old Timer Knife is the Blazer Old Timer Knife that features clip, spey and serrated sheepfoot blades made of stainless steel; all with nail nicks for easy opening. The sawcut brown Delrin handle of this Old Timer knife, 4.0" closed, has brass liners, Old Timer shield inlay and nickel silver bolsters. 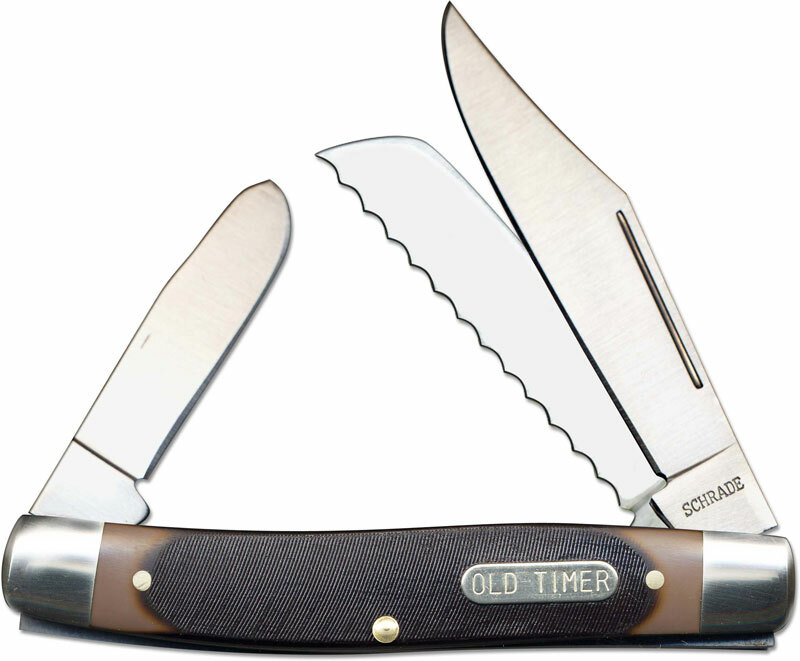 The Old Timer Blazer Knife weighs 3.0 ounces. This Old Timer Knife is imported.